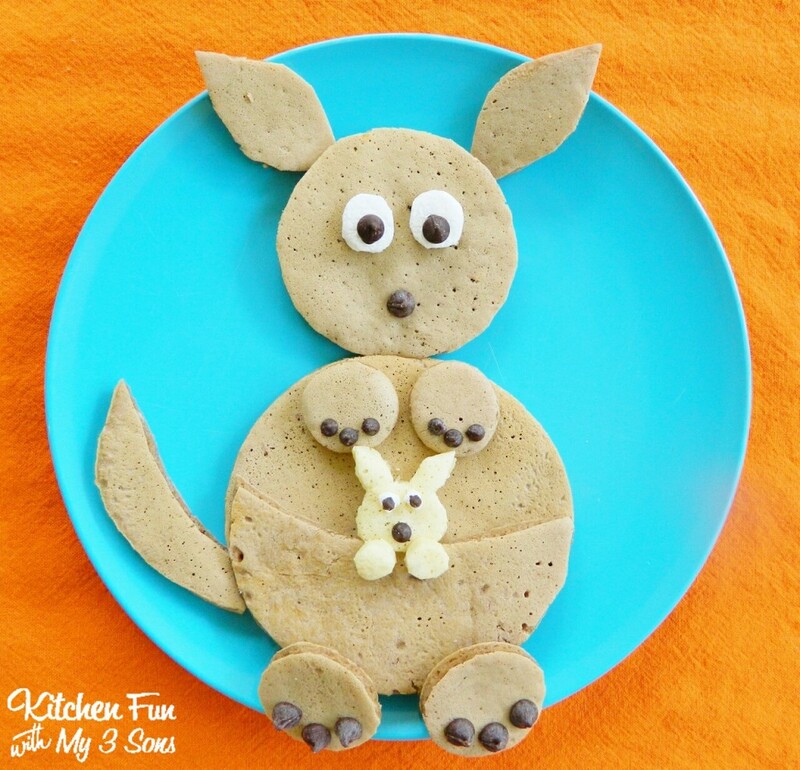 I asked my 3 year old what he wanted for breakfast the other morning & he requested Kangaroo Pancakes. 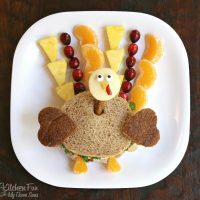 I was thinking how in the world are we going to make that, but I think we came up with a cute & easy way to make them. He loved it! Start out by making your pancake mix according to directions. Pour a little bit of the mix into a small bowl..this will be the baby. Pour a little bit of cocoa in the rest of the mix. Pour your chocolate pancake mix into a pan on low heat making 3 medium size pancakes & 1 small pancake. Use the small pancake for the head. Use one of the med. pancakes for the body. Cut another one in half & place that on top..this will create the pouch. Cut out the other features like the ears, tail, etc..using kitchen scissors with the other half. 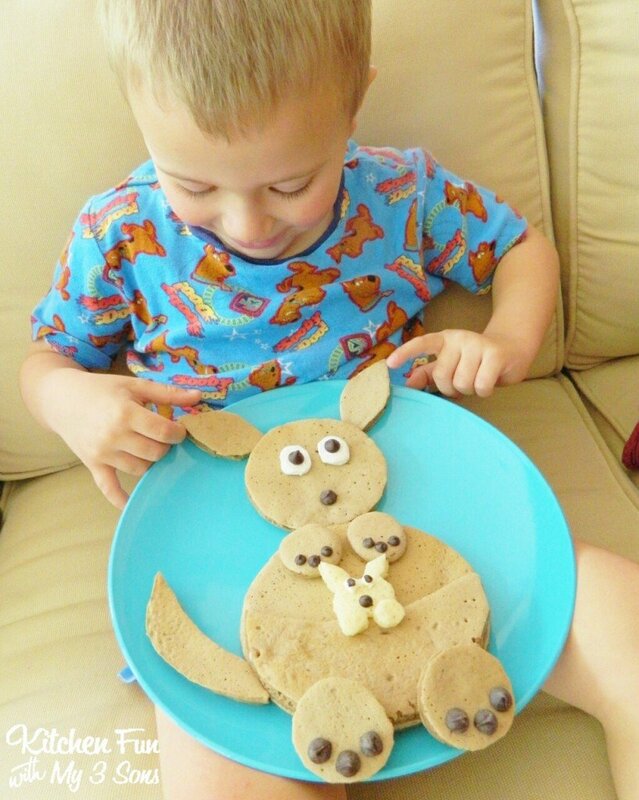 We cut the feet & hands out the last pancake using round cookie cutters. You can also just use your kitchen scissors. Cut a marshmallow in half for the eyes. We used chocolate chips for the face, hands, & feet. Pour the rest of your regular pancake mix in the pan & make a small circle. 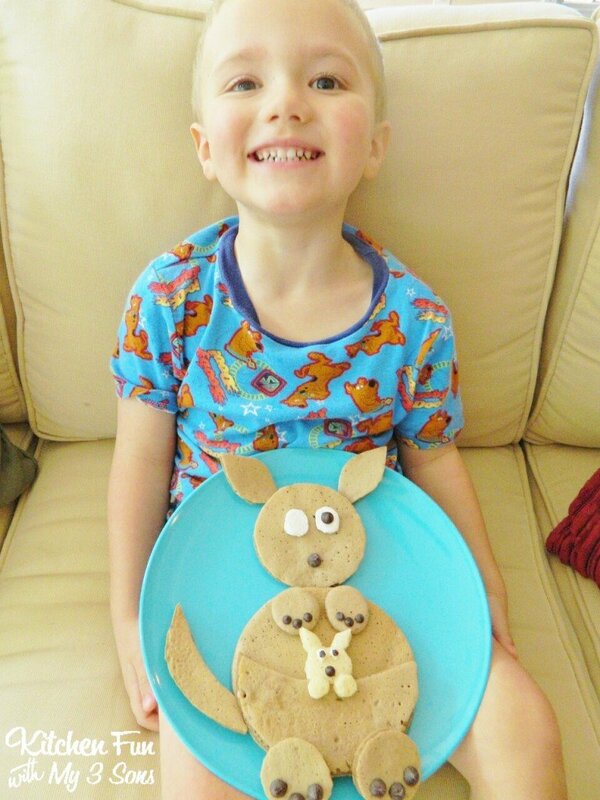 Cut out the baby kangaroo & place in the pouch. 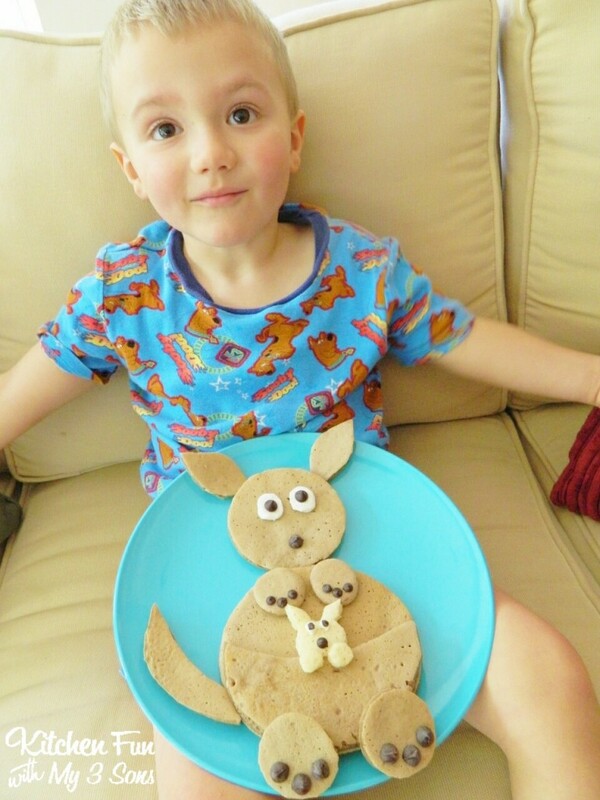 He was amazed by his Kangaroo pancakes…. 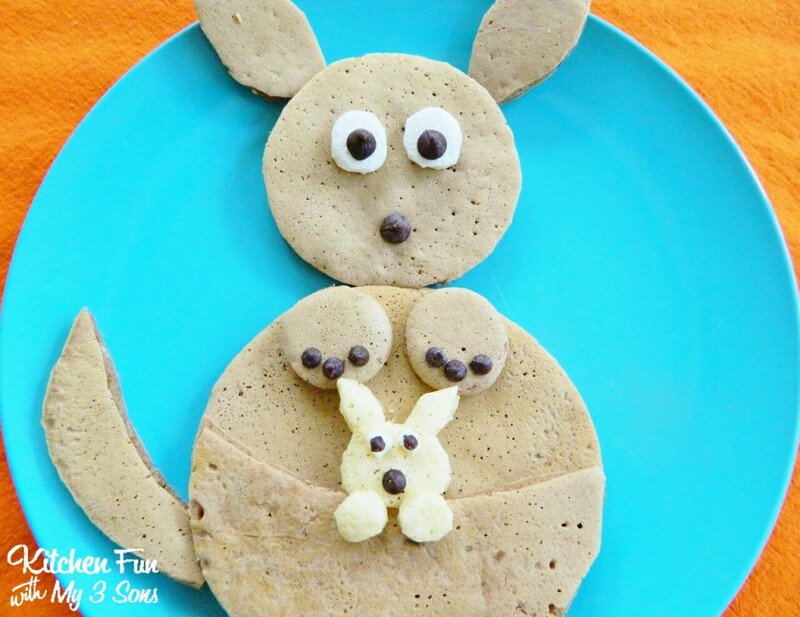 You can view all of our other fun Pancake ideas HERE! 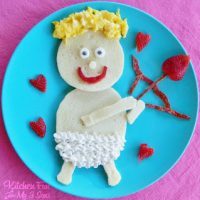 Next Post » Fruit Flower Snack for Mother’s Day! SOOOO cute!!! 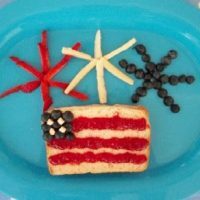 :>D your son's right-you can make anything! This is way too stinkin' cute.